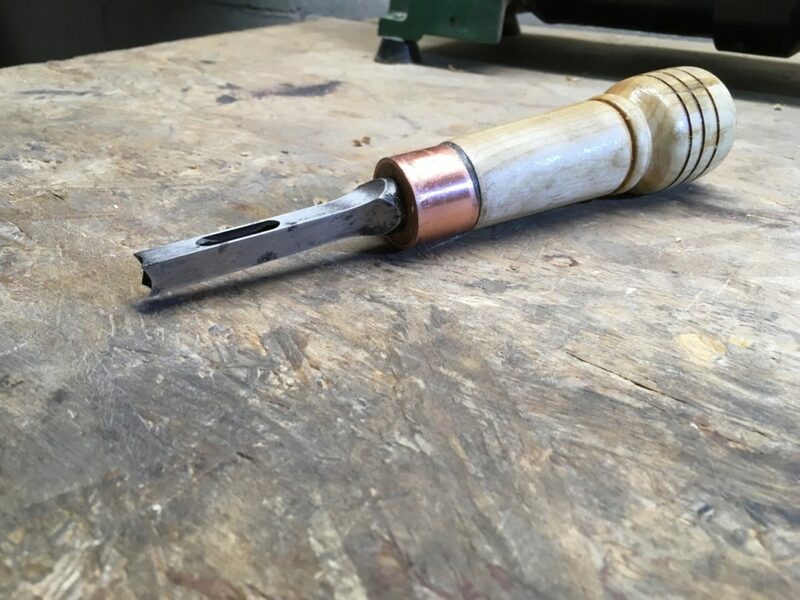 Earlier this year, I rescued a hollow mortise chisel bit from a garage sale that we held at my parents’ house. This tool had been hidden away in a tool box for a number of years. It cleaned up quickly with some steel wool. A file put a nice edge onto it. The only thing left to do was to add a handle to it so that I can be put back in service. I have a few pieces of firewood left over from a camping trip earlier this year. I am not sure of the species, though I suspect it may be cherry based upon how the heartwood had darkened while it was sitting in the workshop. I started by splitting the piece and attempting to square it up with an ax. One end was fairly close to square, however the other end remained more like a pentagon. 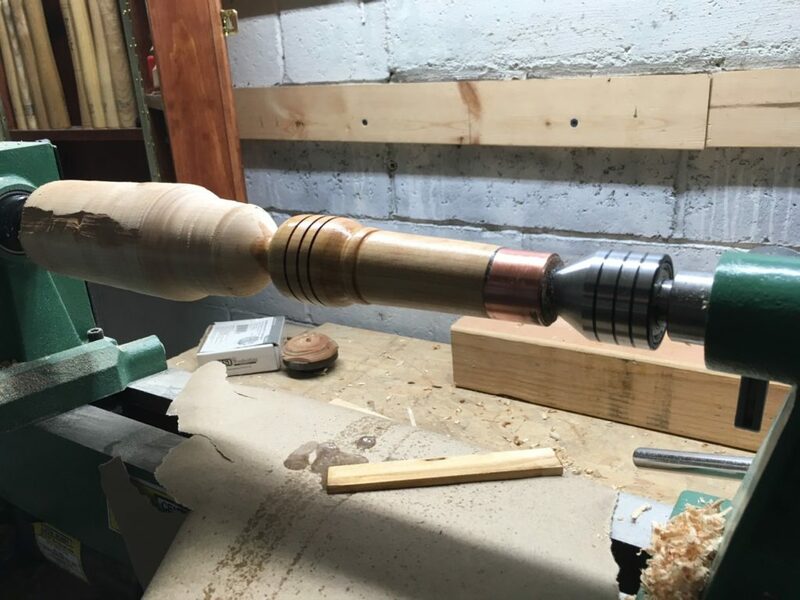 Figuring that was close enough to be put to the lathe, I chose the smaller/squarer end as the side that would receive the ferrule and mounted it to the lathe. The wood was roughed down to generally round. Then I used calipers to take an inside diameter measurement of the piece of copper pipe I used as the ferrule. After locking that down, I was able to take a parting tool and the calipers to bring the end down to the proper width. 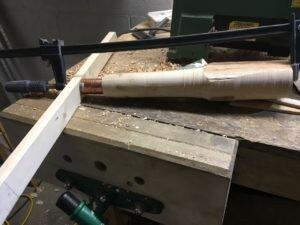 I removed the wood from the lathe and fit the ferrule to the wood. Unfortunately, I had slightly undersized the tenon. That was easily fixed with some adhesive. I applied adhesive to the tenon and fit the ferrule on. I then tool an equal diameter piece of pipe and placed it on top of the ferrule with a scrap on top as a caul. This was then clamped up to let the adhesive set. 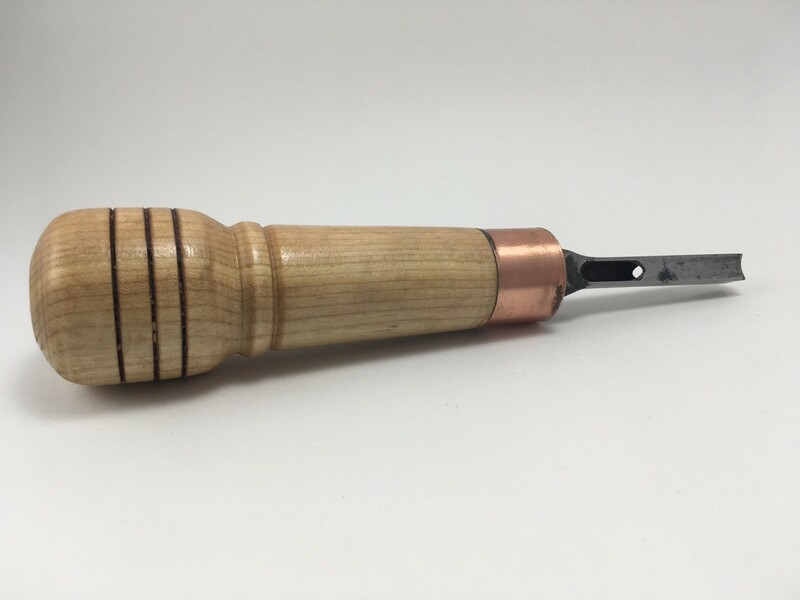 After adhesive set, I remounted the spindle and began shaping the tool with a spindle gouge. As the ferrule and chisel are rather large, the handle looks a bit oversized, almost like a microphone. Of note, remounting the blank to the lathe resulted in a slightly different balance. You can see it in that there is a slight lip on one side of the ferrule on the finished piece. 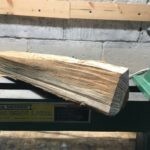 I read a fantastic tip in Fine Woodworking not that long ago and decided to follow it today so that I won’t have this issue in the future. 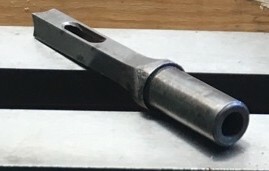 The tip is to notch one spur on the drive center with a file. 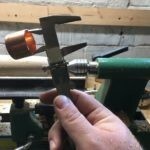 This will allow you see how the spurs were aligned with the work when you need to remount the piece. I only wish I had remembered that before starting this project today. Sanded to 320 with shellac and wax added to the outside. The chisel was fitted in and holds nicely. Now I just have to put it to work cutting some mortises.